Insurance companies: fight ridiculous claims! Here we go again: a ridiculous claim results in ridiculous payout which results in insurance guy saying we all have to pay higher premiums. Why? The scenario at the centre of this story isn't unique. It's referred to colloquially as the "Shoplifter Defamation Claim". The insurer interviewed here identifies legitimate concerns and makes valid points. But he missed a few others. One of the reasons people keep bringing claims is because insurers routinely don't defend them. The excuse is that it's too risky because the Courts all too often pay out on them. But the Courts regularly don't order a pay out and the the Courts regularly award costs against those whose claims are dismissed. It's just that many insurance companies routinely don't pursue those costs. Rather than placing responsibility solely on the State for imposing fines and criminal sanctions on fraudulent claimants as suggested, the insurance companies need to take a stronger line by routinely defending ridiculous claims too and pursuing those claimants that lose for costs. Look at what the MIBI did last week by contrast. The MIBI successfully defended a €60,000 damages claim which was thrown out on the basis the claimant had given misleading information regarding his previous medical history. The man took part in the 67km Gaelforce West race only five weeks after allegedly suffering "incapacitating injuries" in a biking accident involving a hit-and-run driver. At this stage the principles of liability in tort are as well known to insurance companies as their lawyers. But what proactive steps are insurance companies taking to educate their insured in respect of these principles to prevent litigation? How come the staff member in the wine shop at the centre of this story did not know how to deal with the situation without leaving his employer exposed? What training was he given? Does the insurance company offer any guidance to its insured on the the types of claims retailers regularly face so that the staff can be properly trained to prevent this type of claim? What reduction in a shop's insurance premium is offered for ensuring staff complete an online training programme provided by the insurer to prevent claims like this happening? You can guess the answers. Rather than take this proactive step many insurers that the simple and short-sighted approach of simply hiking premiums. No skin off the insurers' nose. Leman Solicitors and Leman Consulting together work with progressive insurance companies who want to fight ridiculous and fraudulent claims. We assist them, not just in defending bogus claims cost effectively, but in helping them to mitigate the risks of claims by providing bespoke training for policy writers and their insured. 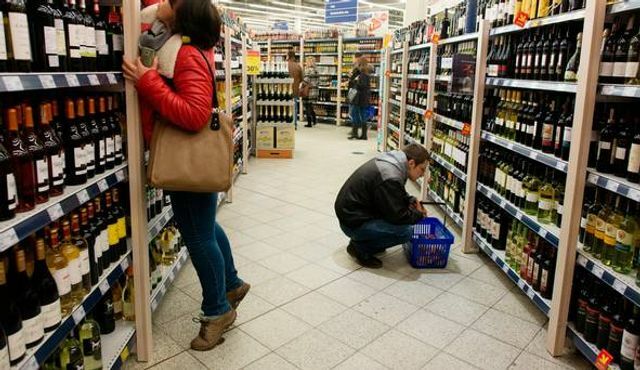 A WOMAN settled a defamation claim for €20,000 after she bought a bottle of wine in a Dublin supermarket, walked down the road to a different shop, left the wine on a shelf and was asked by a staff member if she paid for it.